Hey peeps, how have you been? Did everyone have a lovely summer? I sure did running around traveling here and there both for a nice long vacation and sadly business trips. Even after returning I ended being busy most weekends leaving almost no time to take photos. 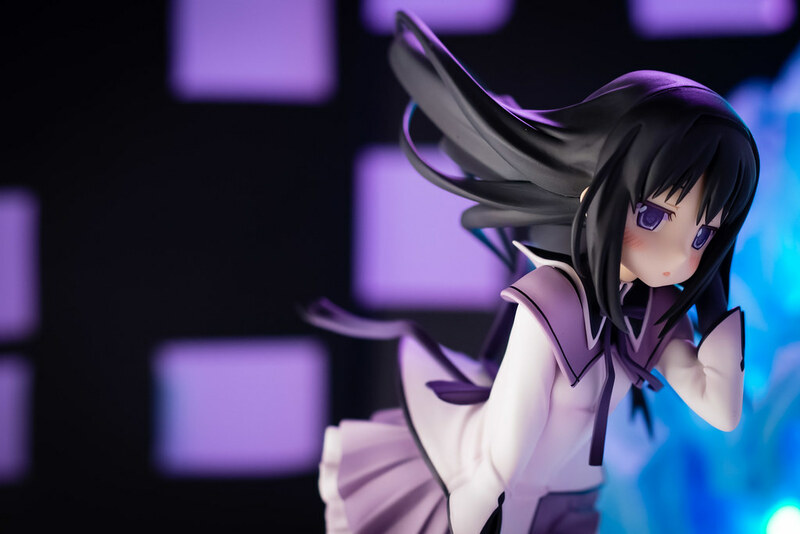 Luckily for me things seem to have mellowed up now that we have entered autumn and got a chance to sit down for nice quality time with my camera and the very spiffy looking Akemi Homura from Good Smile Company. Does everyone still remember Puella Magi Madoka Magica? Can't you believe it has already been half a decade since it first aired? Thinking about it seems a bit crazy for me, since this is a show that I would consider recent. I'm slowly realizing that a lot of "recent" shows I have watched are not recent at all anymore. During those five years it seems Shaft among others seem to have hit it big with the franchise. There is so many different spin off materials that one can go check out now. There is all other those different manga like Oriko and Kazumi and some rather interesting what if stories like Homura's Revenge. 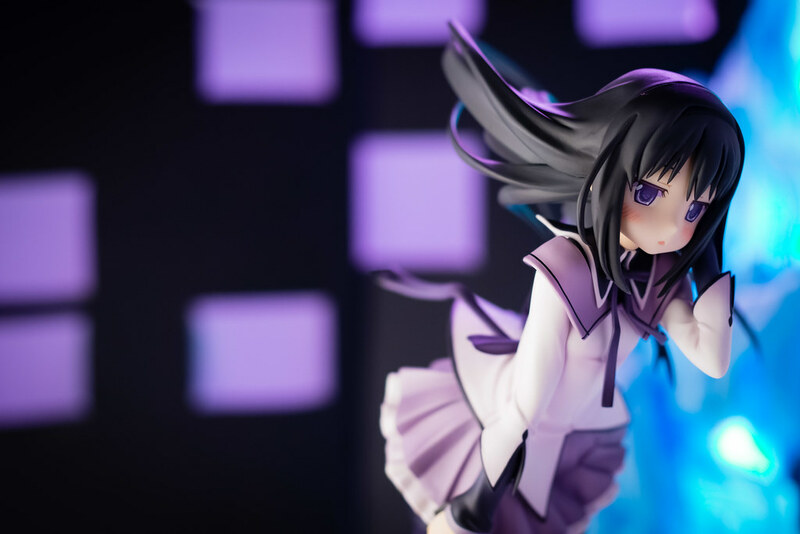 Although with Homura's time traveling everything can become part of the canon I suppose. There is even a plethora of games both official and fan made, my favorite is the doujin game Grief Syndrome. Of course once can not forget the movie compilations that added a bit of extra bits here and there which is a nice way to revisit the show and its characters. On one hand that movie did somethings that I have been craving the whole time I watched the show. Among the those the one I thing I wanted to see the most was probably having all the girls work together as team. The movie not only introduced us to a nice opening battle with all the girls present it even gave us a very cool and over the top transformation sequence for the whole quintet. It even gave us a true united front with the final battle to save Homura and escape the labyrinth. That itch was definitely scratched for me. I was just happy to be able to revisit this world and it's characters. After all, the bittersweet ending of the show did end things open ended enough for a sequel some day. Alas, then the last act of the movie occurred and suddenly all those good feelings I had were thrown out the window. 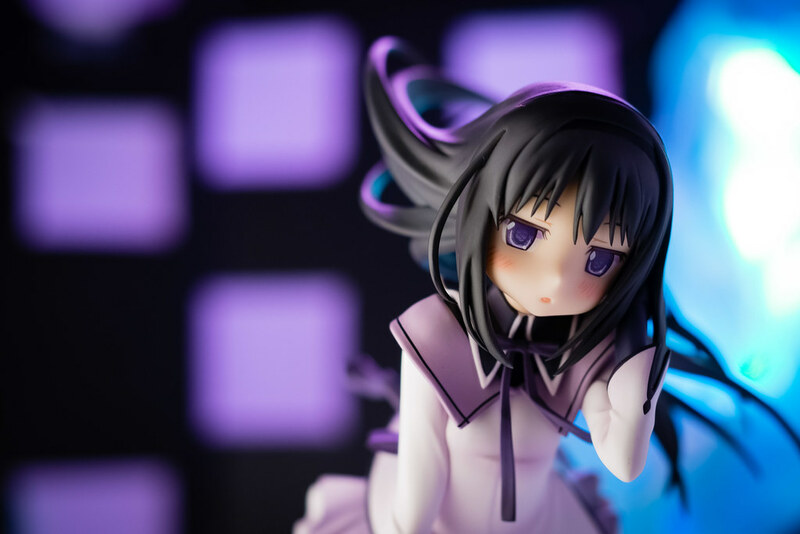 I had suspected all the trauma Homura had gone through probably caused some severe issues with her mental and emotional health but I was not even close to how much. Thus when she abruptly took matters into her own hands and saw the resulting events I could just stare dumbfounded at the screen in disbelief. In retrospect I should have known better, after all it still Urobuchi writing, can't have those good endings! 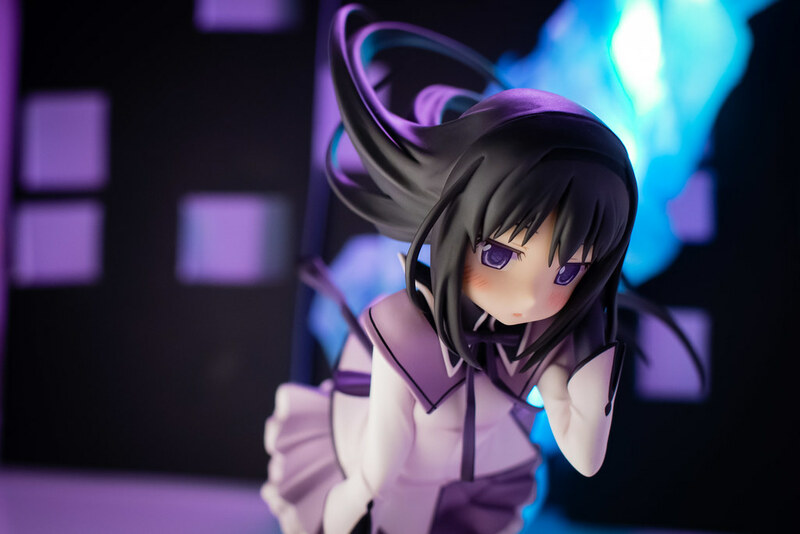 I was one of the many that had become smitten with Homura when the original show aired. I always liked her attitude, who doesn't like an aloof, cool beauty after all? What attracted me to her was her determination to try to change the horrible events that could occur. 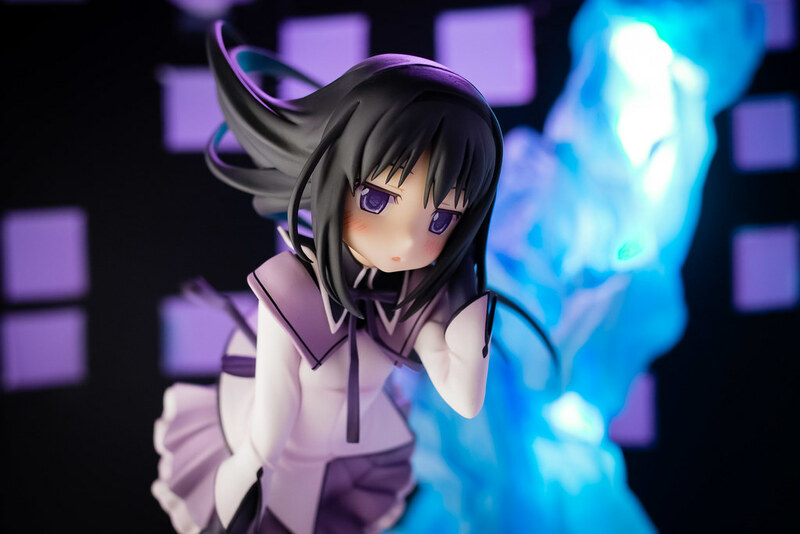 If nothing else I can say Homura tried, sadly for her it seems everything was stacked against her. It seems that everything that could go wrong for her did, despite her impressive showing. I always felt that such horrible sacrifices made the ending that much more rewarding. After all, Madoka was able to save every magical girl from their tragic fate thanks to Homura's efforts. While she might be separated from Madoka she would join her eventually when her time was up. I found Homura's development interesting, comparing just Moemura to Homura in the show proper and later in the movie it's easy to tell how her character evolves. 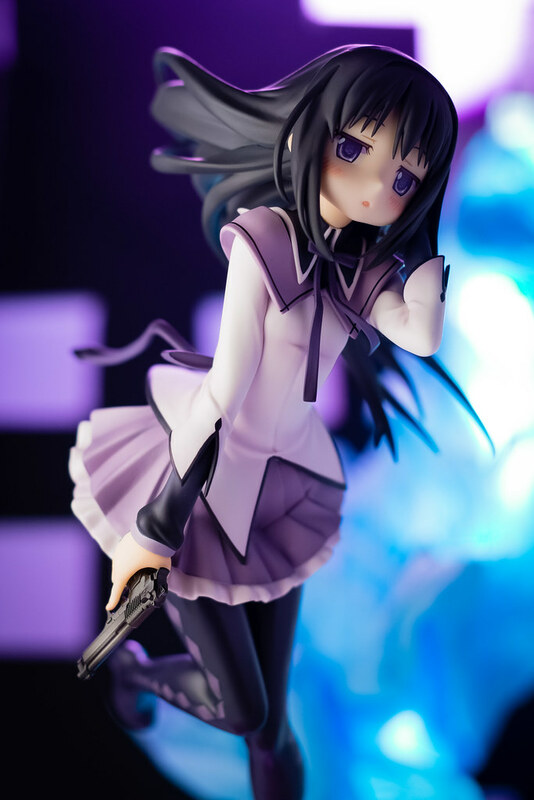 What bothered me is how the movie handled her character growth, want to take Homura down the path of a villain? That's fair game, but to just abruptly do so by twisting her character and simply throwing away the well crafted conclusion of the show is not. 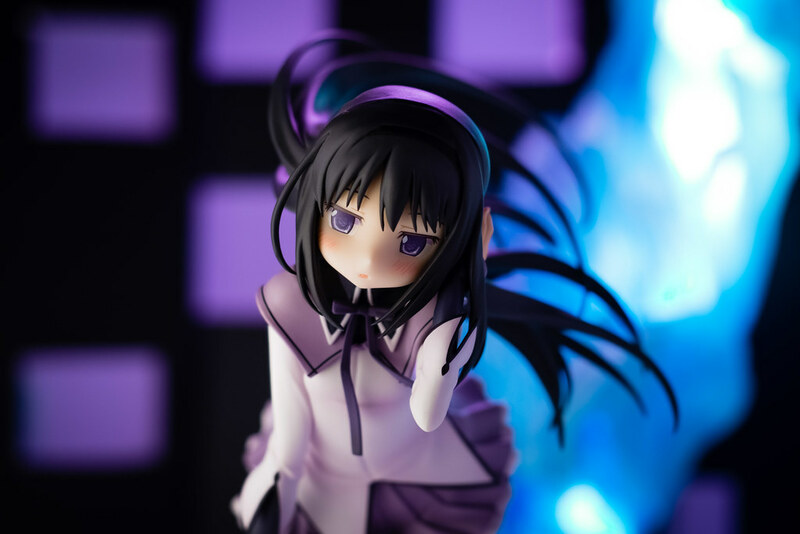 This is where my mixed feelings come in, I like Homura. While I might not like seeing her make the journey from hero to villain, I like the bigger focus given to her in the movie. She is the true protagonist, name of the franchise aside, after all. I don't like that in doing so Shaft and Urobuchi decided to leave things halfway done. Will she remain the Devil to Madoka's Goddess? 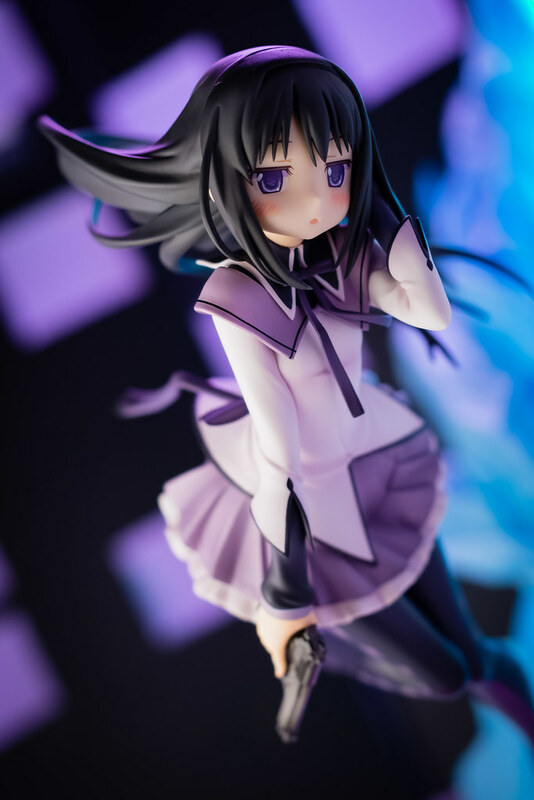 Will the girls accept her new world or will they rebel against the world as Homura did? 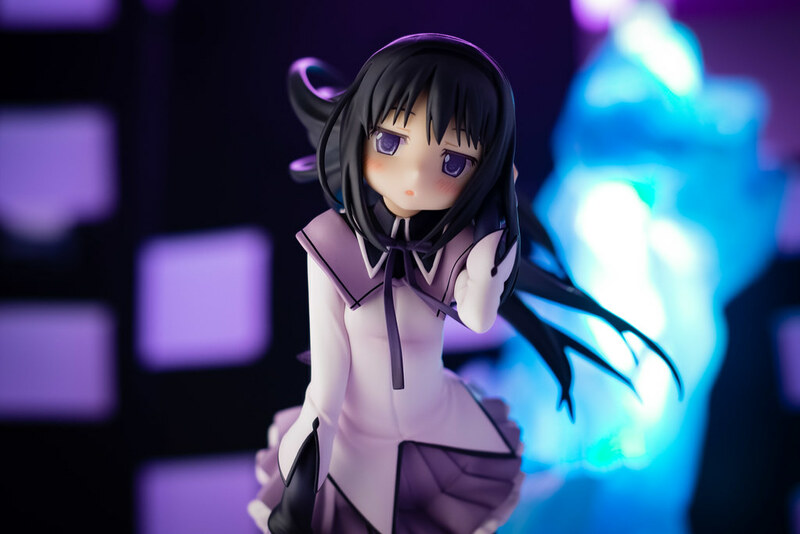 Will Homura and Madoka every be together happily? Who knows. I suppose this is just a result of the stakeholders of the franchise wanting to push something out rather than wait for a proper sequel. This is what really bothers me, it feels like this is just the beginning of a new story rather than a conclusion. Judging from how things are going, it might be a story we never get to see. It seems like the only new things we get is merchandise and at least on that side things are going really well. Just look at all those really nice looking Madogatari cross overs. 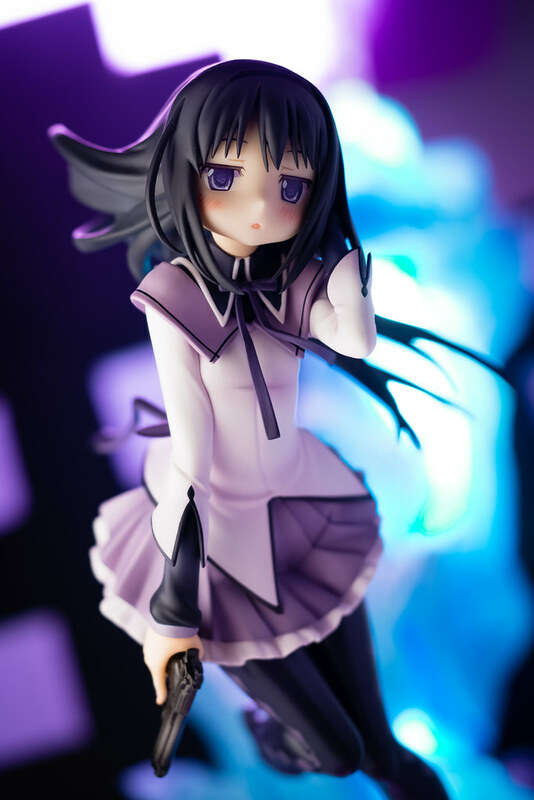 Years ago I bought Gift's rendition of Homura sculpted by the someone divisive Toda Satoshi. I like it, I like it quite a bit. 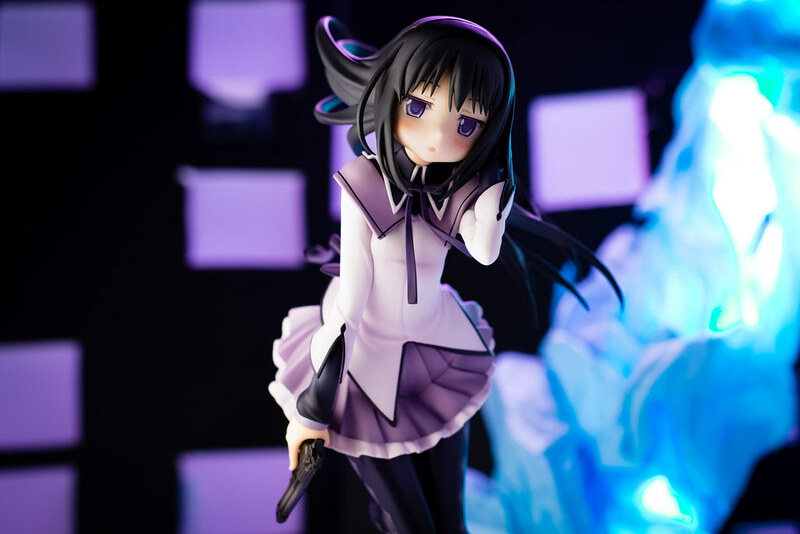 I think it is a very well made and stylish version of Homura. However, as several people pointed out to me, this style is different from the original character designs. 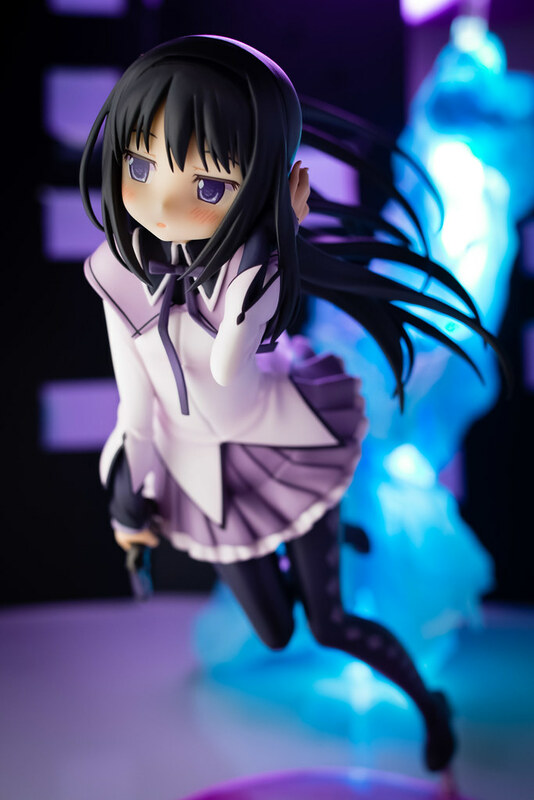 True enough I do agree that Gift's version is Homura as seen through Toda Satoshi rather than "normal" Homura. Sadly for me the other options available where a bit disappointing, GSC's original was just painfully "meh". There is just something that looks off about the Aniplex versions that I could never shake off. The others were garage kits that are simply outside my means. 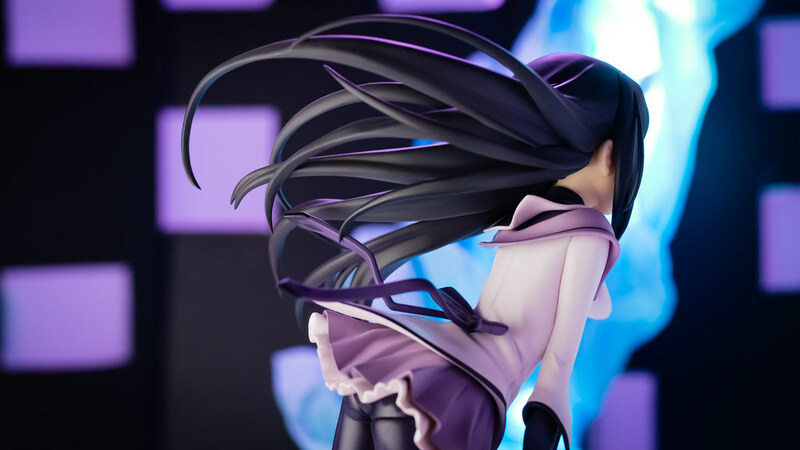 All I wanted was a figure of Homura reflecting Ume Aoki's original designs. Now half a decade after the show ended and a couple after the last movie I finally got what I wanted courtesy of Good Smile Company. This rendition of Homura is essentially a perfect adaptation of the illustration and Ume Aoki's style. 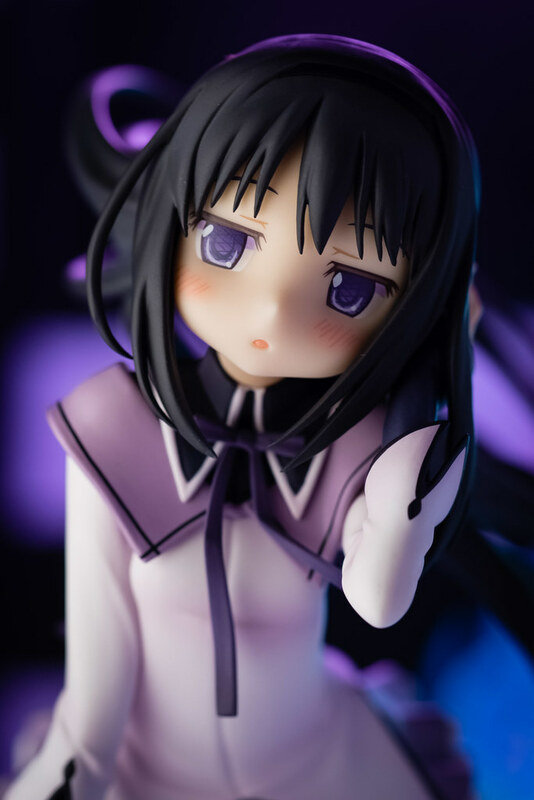 One has to look no further than Homura's lovely face, from the slight blush to the detailed crosshatched shading in her eyes this is definitely her style. 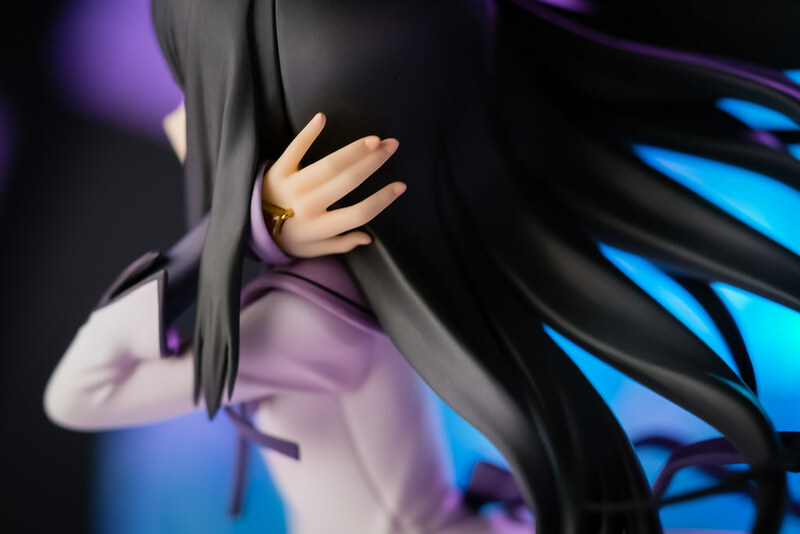 While a fairly simple figure GSC didn't really skimp out on the details such as Homura's soul gem, mostly hidden by her sleeve or the delicate pink nails on her slim fingers. 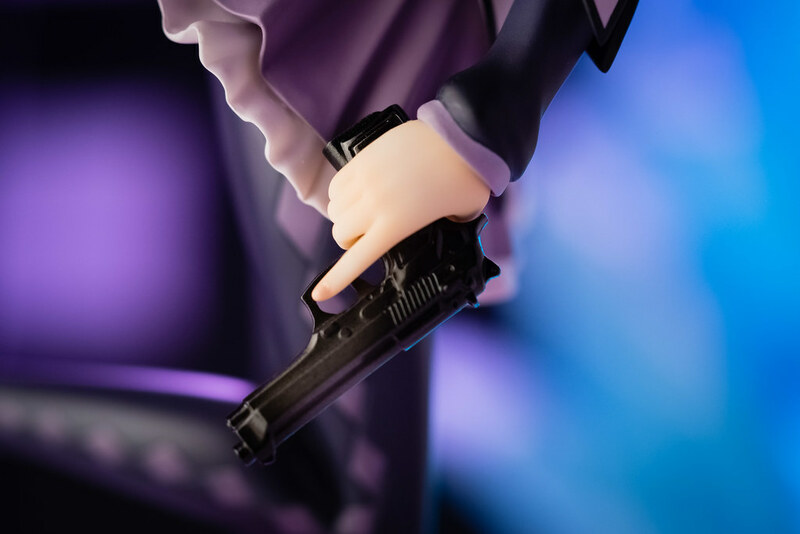 Homura continues to practice proper gun safety as before, this time not only does not have her finger on the trigger her gun is also pointing away from others as per the illustration. Good job Homura! Of course the actual handgun itself looks quite nice with all the nice details sculpted to precision. 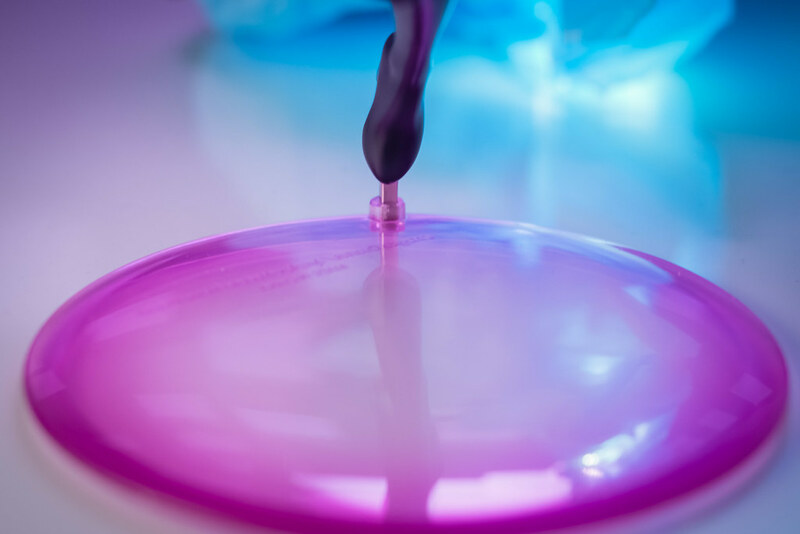 For the base GSC really couldn't go any simpler, a translucent circular base in purple. On the upside the actual peg is a metal piece rather than the typical PVC, this greatly serves to ease my mind when I think of a single peg supporting the figure. 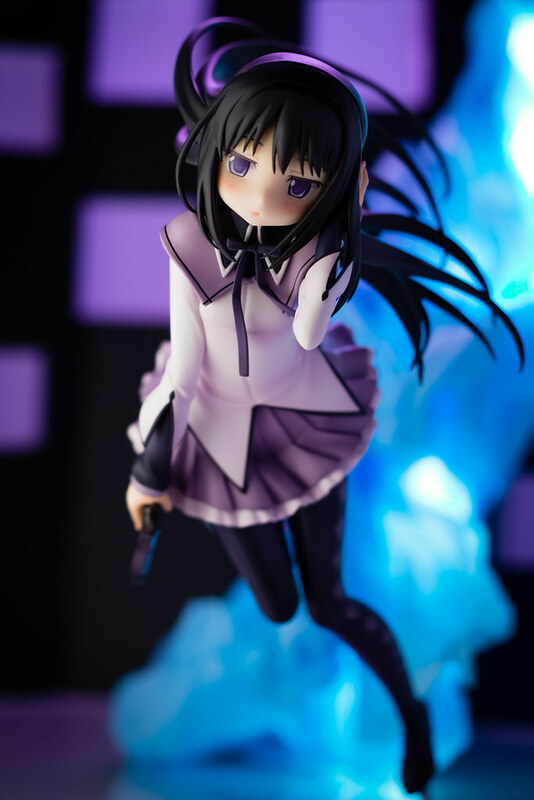 Homura's hair looks great over all, the individual strands great adding to sense of motion along with her clothes. The only problem is the rather noticeable seam line along the top of her head, fairly easy to see at a glance. 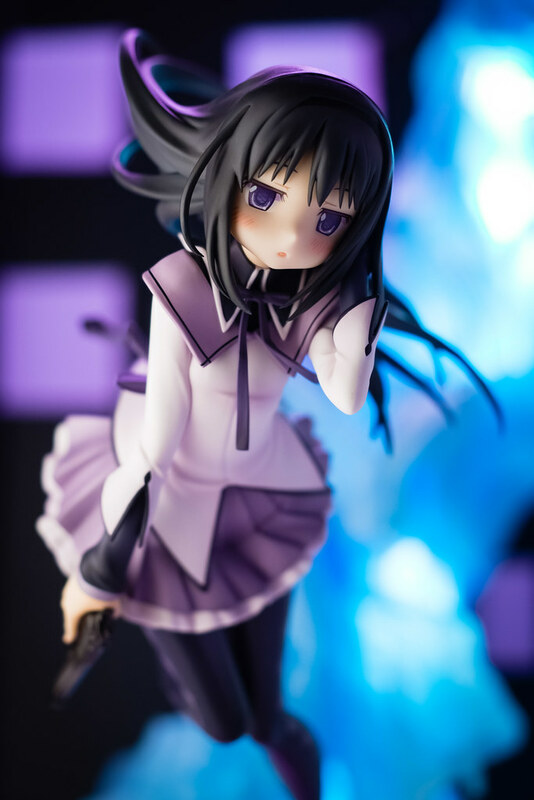 While Homura might be a bit obscured in the original illustration GSC managed to translate it into a figure quite well. I feel the poses of the girls in the illustration are a bit awkward if you really think about it but they do look really nice from certain angles. Some of which I would not have really considered if I couldn't simply take the figure and look at her from various directions. My biggest complain about this figure has to be her size. 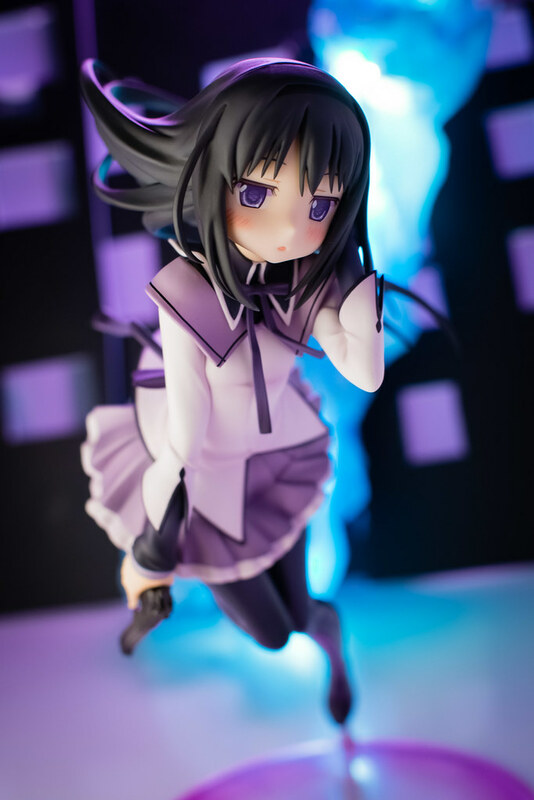 Yes, I know Homura is not a tall girl but for a 1/8th scale this figure is super tiny. Perhaps it is a result of her pose with a low profile giving the illusion of such. 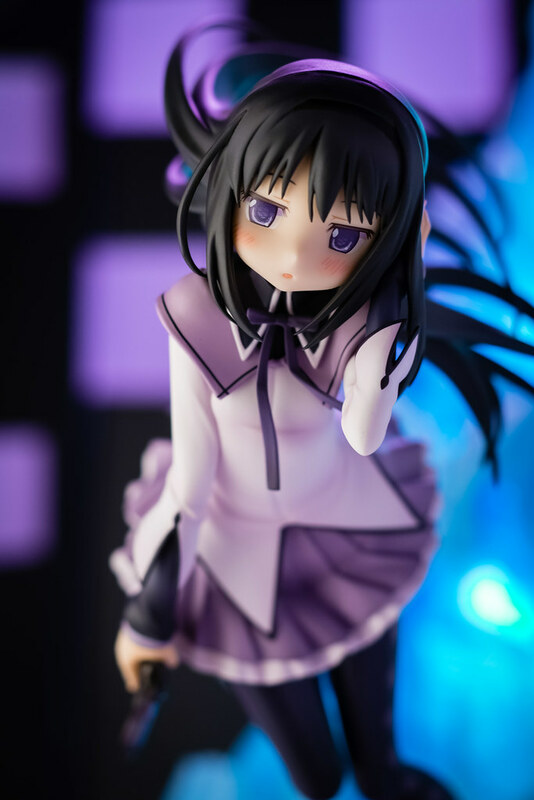 I don't own the Madoka from the same set so I can't really compare how it measures up. 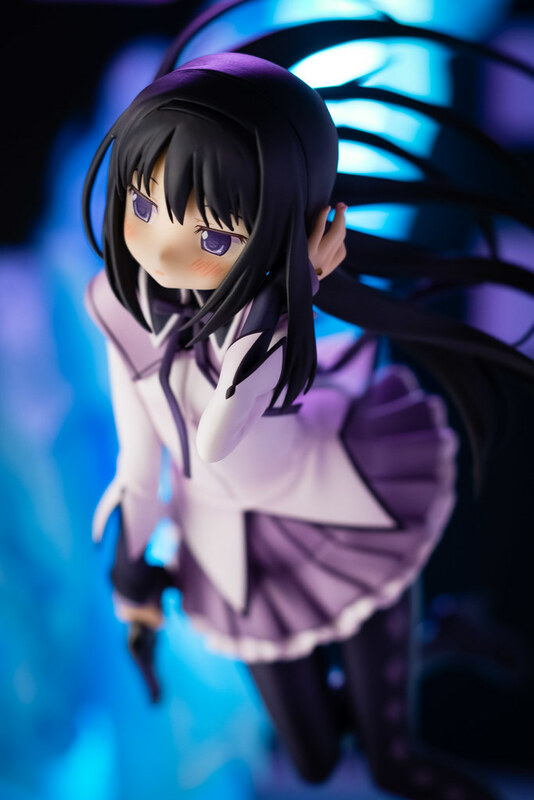 I'm quite satisfied with this figure, GSC did an excellent job and I now have almost exactly what I wanted from a Homura figure. If there is anything left it might be a bit more fire power. 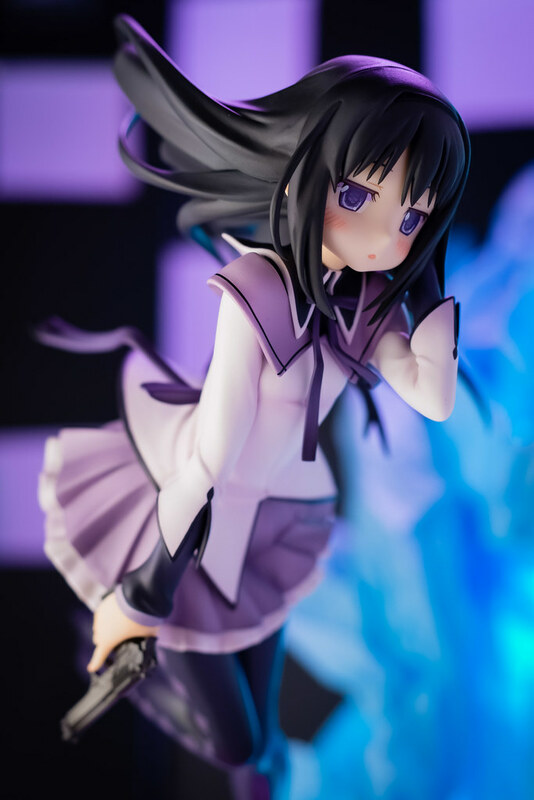 May be a nice Devil Homura to match their Goddess Madoka? 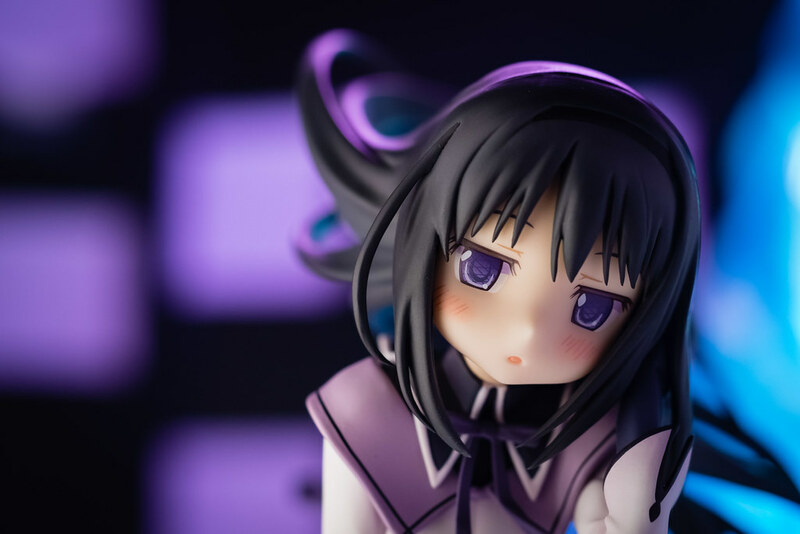 I suppose I should just sit and wait warmly, after all it did take half a decade to get this figure.